Businesses and residents coming to Brookfield will find excellent public services, many provided by volunteers, allowing the town to keep its property taxes very competitive. 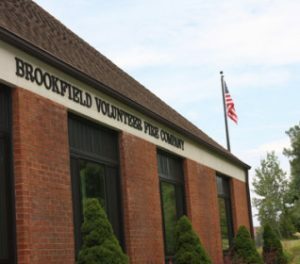 The Brookfield Police Department provides our community the finest public safety services by preserving the peace, promoting safety, and protecting life and property. They are committed to maintaining an open dialogue and positive interaction to maintain a partnership that will solve problems and enhance the quality of life for all residents, visitors and business owners. Aquarion Water Company and the Town have made significant investment to provide a reliable supply of high quality water to meet current and projected demands. Aquarion owns and operates eight public water systems in Town. The largest is the Brookfield Main System which serves the central corridor along Federal Road from New Milford to Danbury, Silvermine Road, and north of Silvermine Road on Route 25. The remaining water systems are to the east and west of Federal Road and serve primarily residential areas. The town operates two firehouses, both staffed by a proud volunteer fire department and supported by state-of-the-art fire and rescue equipment. The fire house nearest Candlewood Lake is on the west side of town and the Brookfield Volunteer Fire Department is on the eastern side on Pocono Road. Central dispatch can readily call on several volunteer and public ambulance services available in town. Homes and businesses use either heating oil, propane or natural gas to heat their homes from several local suppliers. Natural gas is available via a pipeline along Federal Road from Eversource. 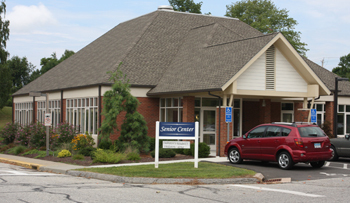 Brookfield is home to a vibrant population of senior citizens, many of who use the new Senior Center built in 2008 adjacent to Town Hall. With daily activities, field trips and much more, the Senior Center always has something fun going on. Visit the Senior Center website for additional information. Brookfielders are always ready to help those in need in our community. Click here to learn about our Food Pantry. FISH of Brookfield provides transportation for medical appointments between 9:00 a.m. – 2:00 p.m. through the use of volunteer drivers. 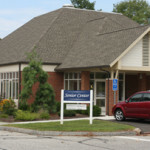 Ambulatory disabled and/or seniors in Brookfield may call (203) 616-9678 to record their request at least 2 days but no more than 7 days before the appointment. Anyone interested in becoming a volunteer driver or have any questions about the FISH program, please call (203) 616-9678 and leave a message. Sewer service is provided by the volunteer-led WPCA organization. The towns sewer system capacity has more than doubled since 2008 and several capacity addition projects are now on the books. Visit their site to see where sewer services are available and planned.